Vitamin B12 is an essential vitamin needed to help your body stay healthy. It can be found in meat, fish and dairy foods. You can also find it in forms of a supplement, available in caplets, as injections or an absorbable gel. Also referred to as cyanocobalamin, it is needed to make DNA, maintain red blood cells and support nerve cells. It increases blood flow to the brain and inner ear, which decreases the rate of cognitive and hearing loss. Too much vitamin B12 side effects are nil as you cannot accumulate it to toxic levels. However, if your B12 levels are high, it may be due to an underlying disease. The recommended daily intake of vitamin B12 in healthy men and women is 2.4 micrograms. Expectant and breastfeeding women need 2.6-2.8 micrograms. As you grow older, you may need to take a daily supplement of up to 1,000 micrograms due to a lowered bodily absorption rate. Can Too Much Vitamin B12 Cause Side Effects? Vitamin B12 is water-soluble, released in your urine if you’ve consumed too much. Because of this, it is generally well-tolerated and rarely reaches toxic levels due to diet. It is very hard to overdose on vitamin B12, but you can put a moderate strain on your kidney if excess consumption occurs too often. Too much vitamin B12 side effects by overconsumption are rare. 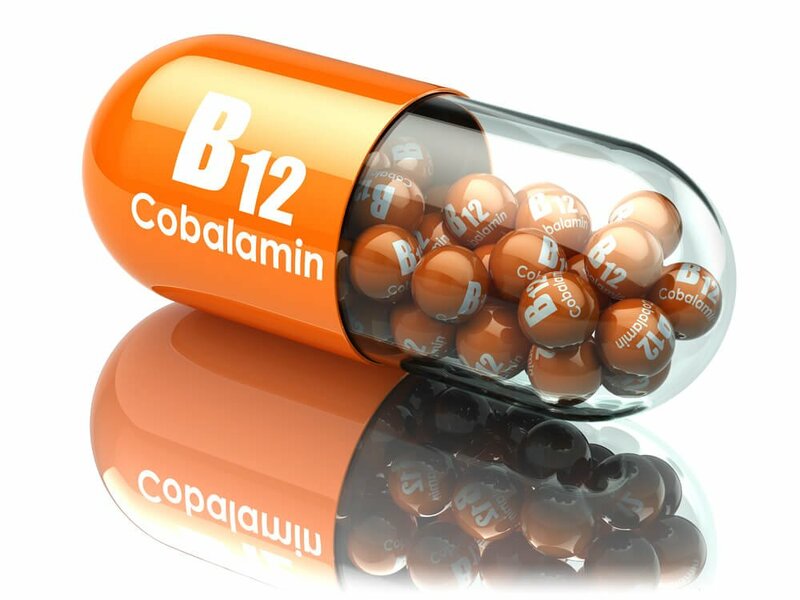 It is safe to consume too much vitamin B12, but keep in mind it may negatively interact with other medication. The most common effect of these medications is they do not allow your body to effectively absorb the amount of vitamin you need. One such medication is the antibiotic named chloramphenicol. Other types of drugs include those designed to relieve acid reflux and control Type 2 diabetes. If you need to take one of these medications, consult with your doctor as you may need to take a vitamin B12 supplement. What Does High Vitamin B12 Indicate? Your body is good about eliminating excess vitamin B12, so accumulating toxic levels because of diet or supplements is rare. If you have elevated vitamin B12 levels in your bloodstream, it is a sign of a serious illness. The most common diseases associated with high levels of the vitamin are kidney failure, blood cancers, leukemia, liver disease, polycythemia vera, and hypereosinophilic syndrome. Elevated levels of vitamin B12 is caused by diseases that make your blood levels increase. A damaged liver would be a good example of this. Because it is not functioning correctly, it may release B12 into your blood from storage. This would cause your vitamin and blood levels to rise. Early symptoms of too much vitamin B12 side effects from illness include loss of appetite or fatigue. If you are experiencing these symptoms and feel generally unwell, see your doctor. He may want to order a blood test, which is the only way to definitively find out if your vitamin B12 levels are high, as well as decide if further tests are needed to find the underlying cause. Liver is very rich in vitamin B12. In fact, only one ounce of beef liver meets your daily recommended intake of the vitamin. It also helps with anemia as it is full of folate and iron, too. You should look for liver from pasture-raised or grass-fed cows, as the quality will be better. Sardines are high in both vitamin B12 and omega-3 fatty acids. The combination of nutrients help with asthma, increases heart health and fights inflammation. 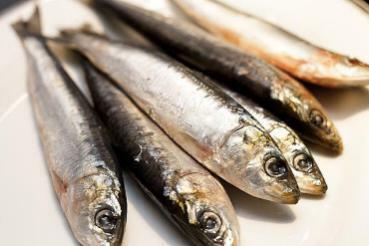 Eating sardines has been associated with several health benefits. The Atlantic sardine is full of B12 and omega-3 fatty acids, too. Not to be confused with the king mackerel, this fish is low in sodium. It has been ranked as one of the top fish for health. While not as popular in the U.S. as other countries, adding lamb to your diet is a great way to supplement your diet. Since there really isn’t such a thing as too much vitamin B12 side effects, you can add this highly nutritious meat without fearing a vitamin overload. 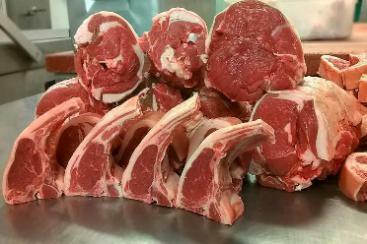 Lamb is also full of iron, protein, zinc, and selenium, which are effective in boosting your immunity. One of the highest recommended sources of protein is wild-caught salmon. You should choose wild over farm raised, as the nutrient levels will be much higher. Besides vitamin B12, it is rich in vitamin D. This added benefit assists with your musculoskeletal health by slowing the skeletal aging process. It also helps with preventing fractures due to fall in individuals over 60 years old. 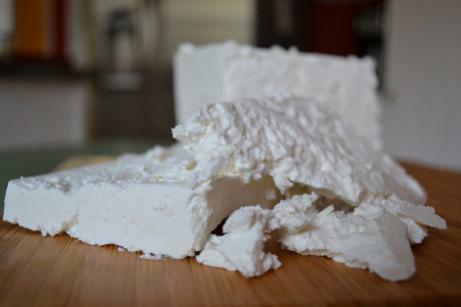 Feta cheese is full of vitamin B12, riboflavin and calcium. It is traditionally made from sheep’s milk, but can be made from a combination of sheep and goat milk as well. Because of its high riboflavin level, it has been found helpful in the prevention of migraines. The best source is that made from raw sheep milk. Grass-fed beef is considered a top choice in protein and vitamin B12. Studies have found it has high levels of antioxidants, vitamin E and vitamin A. In fact, grass-fed beef has been shown to be much healthier over grain-fed beef. Its combination of nutrients makes it an effective animal protein in the fight of cancer prevention.